Skylark Blog: Let the Judge Decide! - The End of Conflict or Just the Beginning? Let the Judge Decide! - The End of Conflict or Just the Beginning? How often have I heard that in my career as a divorce attorney and mediator? Too many times to count. In many cases, when a spouse or their attorney feels that they are unable to reach an agreement with the other side, they simply decide to put the issue to the Judge. After all, that's the Judge's job. The whole reason we have a civil legal system is to resolve disputes in a civilized way between adults, but that system is far from perfect. Have you really been told the truth about what it means to "let the Judge decide?" You may not like the resolution or the process. In fact you probably won't. The Probate and Family Court system is a one-size fits all system. Treating everyone equally has both advantages and disadvantages. Be prepared for long lines and overworked court staff. The process of resolving your case may not seem like rocket science, but you are not the only case they have to resolve. The Massachusetts Probate and Family Court had 156,531 total cases filed in fiscal year 2014. Middlesex County alone had almost 5,000 divorce and related cases filed in that same year (and 26,092 total cases). That might not seem like a lot of customers in one year, until you realize there are only eight judges in the Middlesex County Probate and Family Court and they will have to see all of those cases at least once. In addition, the contested cases will have multiple hearings and many of the cases from previous years are still open. In our experience, the Judges genuinely try hard to give every person in front of them a fair chance to be heard and to make a reasonable decision. But practically speaking, they can't give that many cases close attention. You do have a right to a trial, and a right to have a Judge decide an issue if you believe that your ex is being unreasonable, but don't be fooled into thinking the Judge will make that decision with all the relevant information. There just isn't enough time. In order to serve as many people as possible the court is forced to apportion rough justice and hope that it's good enough. Rough Justice is not good enough for families. We recently posted about a heartbreaking case in which a father, who the court admitted was an abuser, was granted custody of his children. That may seem like a crazy result, but reading the full decision it was obvious how hard a case it was, and how difficult it was for the trial court and the Appeals Court to come to that decision. While we agreed that the court may not have had a better choice under the law, the family certainly had better options for resolving their disputes. Extended litigation only put the children of that family at higher risk of abuse, regardless of which household they were in. The Judge's best option is rough justice because they are limited by the law and time. They will not hear all the facts of your case. Some relevant facts are excluded by the rules of evidence, and many more will be excluded because they just don't have enough time to hear it all. You may believe the Judge would agree with you if they knew everything you knew, and you might even be right, but the Judge will never know everything you know about your case. Even if the Judge agreed with you, the law limits what the Judge can order you to do, while your options in dispute resolution are practically endless. For example, even if a parent coordinator might be a great option in your case, recent case law suggests that a Judge can't assign a Parent Coordinator over one party's objection. You've not only limited the possible solutions by letting the Judge decide but you've also accepted that a stranger with imperfect information will make a decision about the future of your unique family situation. It's not over when a Judge decides. Almost every final decision from a Judge (and even some temporary orders) can be appealed. That means multiple appellate Judges will second guess the decisions of the first Judge. It means more time, more money, more frustration, and ultimately if they disagree with the first Judge, it means starting all over again. One excellent example of this problem is a 2014 Rule 1:28 decision, Sibert v. Sibert, in which the Appeals Court reversed the property division, alimony and attorney's fee awards of the trial court. Essentially the parties were being sent back to the first Judge to do almost everything over again. The primary reason behind the Appeals Court's decision to remand these issues was the failure of the trial Judge to provide adequate findings to rationally support the decisions. As lawyers, we're use to hearing these types of legal explanations for an appeals court handing a case back to the trial Judge, but to a client it must seem absurd. The higher court is essentially saying the lower court didn't do their job well enough. The decisions might even be right, but the Judge didn't write enough of their work down so they can't tell if the solution is correct. How many people would say "let the Judge decide" if they understood what they were really saying was "let the Judge decide, and then if we don't like it we'll let some other Judges decide if this Judge needs to decide again, and so on..."
Even once a decision is final, it probably isn't over. In your personal experience are people more likely to complete a task when they agree to do it or when they're told to do it? It's human nature to rebel against a decision or order we believe is unfair. Probate and Family Court orders and judgments are no exception. Divorced spouses who reach an agreement will sometimes fail to live up to that agreement, or seek to make changes. After all we can't predict everything. However, the odds of returning to court are much higher if you let the Judge decide the first time and it should be obvious why. If you needed the Judge to tell you one thing, why not everything? In 2014, there were 18,291 Contempt cases filed and 31,788 Modification cases filed in the Massachusetts Probate and Family Court. That's 50,000 times someone wasn't happy with their prior judgment, in 2014 alone, almost one third of all the cases filed in 2014. Not only do those cases split the Judges attention even further, they demonstrate a failure of the system to work in the first place. Letting the Judge decide is not just a choice about the current issue in front of you right now, but it is also a choice about how you will decide all future issues. A Better Way to Resolve Conflict? While many people are only aware of one way to get divorced, there are in fact many different ways to complete a divorce in Massachusetts. Because of the legal nature of a divorce, and the media portrayal of high profile court battles, many people aren't aware that court doesn't have to be your first stop in a divorce. 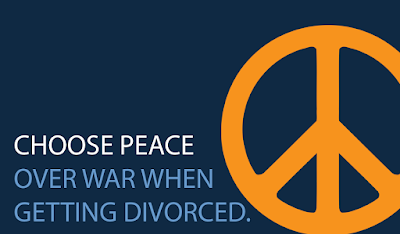 In fact, your divorce might be a lot more efficient, civil and cost-effective if court is your last stop. Collaborative Law and Mediation are just two of the processes by which you can resolve a divorce case before going to court. Even when settlement seems impossible, dispute resolution processes offer many tools and resources to help you find long-lasting solutions. If you are able to resolve all of the issues through a dispute resolution process and reduce them to a written agreement, then you will avoid having a Judge make important life decisions for you. More importantly, you might just set the tone for how you and your ex-spouse resolve any future disputes. Can I Modify my Alimony? Updated Flowchart.